Mike Carroll – Good Work. 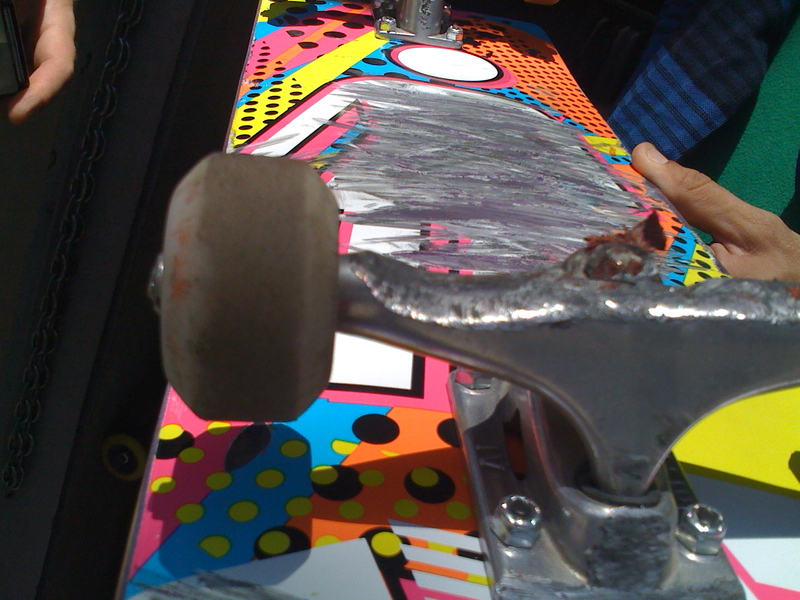 When I was in 6th grade we scrubbed our trucks against the curb by hand in an effort to create an illusion of ‘gnarly grind skillz’. This is what the real thing looks like. I am happy to say I saw this evidence on the curb first hand on Fairfax Avenue yesterday. Mike detects curb accretion here. No parking in the Red Zone. The Red Zone is for grinding only!